Copyright © 2018 George M. Wahba, M.D. Inc. | All Rights Reserved. Dr. Wahba featured in Mercy Advances. 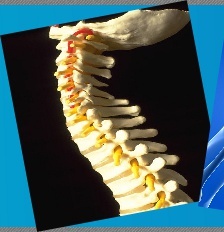 Dr. Wahba is a Harvard-trained surgeon who specializes in cervical, thoracic, and lumbar spine surgery. 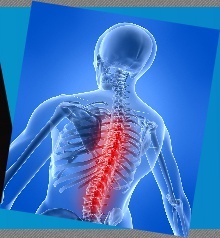 He has expertise in spinal degenerative disease, spinal deformity/scoliosis, spinal trauma, spinal tumors, and revision surgeries, as well as the use of minimally invasive spine surgery. Dr. Wahba takes a very conservative approach to spine surgery, and believes surgery should only be considered once all conservative options are exhausted. His world-class training provides him with extensive knowledge in comprehensive spine care, including both conservative and surgical treatments. Our goal is to provide you with the best possible care, and a pleasant and comfortable experience. * Using the resources we provide, including this website. * Asking questions during your office visits. * Providing us with a complete medical history. * Carefully following all care instructions. As part of your visit, we will take a history of your symptoms and perform a physical examination. If you already have x-rays, MRIs or other diagnostic images, please bring them with you to your office visit. We may order other tests during your visit to confirm a diagnosis. Once we determine your diagnosis, we will work with you to develop a treatment plan to meet your particular medical needs. One of Dr. Wahba's patients featured in HouseCALLS.